Don’t miss out on this fun and inspiring event! 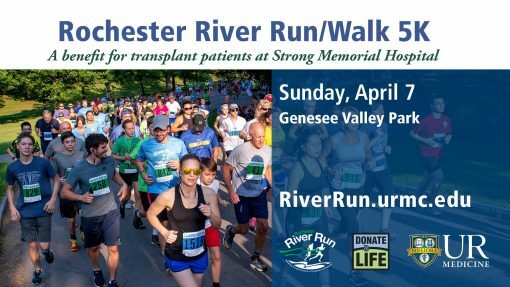 Run, walk or build a team and collect pledges to help patients who are awaiting or recovering from organ transplant surgery. The morning also includes a moving tribute to organ donors, donor families and transplant recipients. 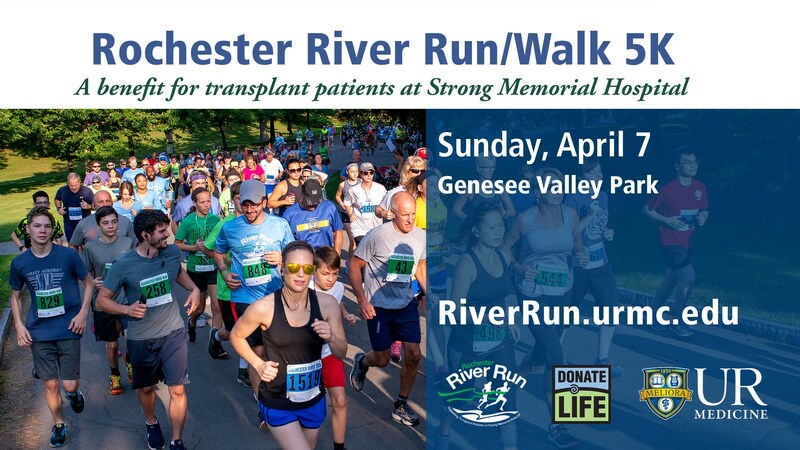 The River Run takes place along a scenic, park-lined portion of the Genesee River and is certified by USA Track & Field (#NY15140KL). Register by March 18th for a free long-sleeve tech or cotton shirt. Online registration closes on Thursday, April 4th, at midnight. Registration cost after April 4th will increase to $35. Children are welcome – under age 10 are free (no shirt). Click here to visit the Friends of Strong website and view updates on the event.